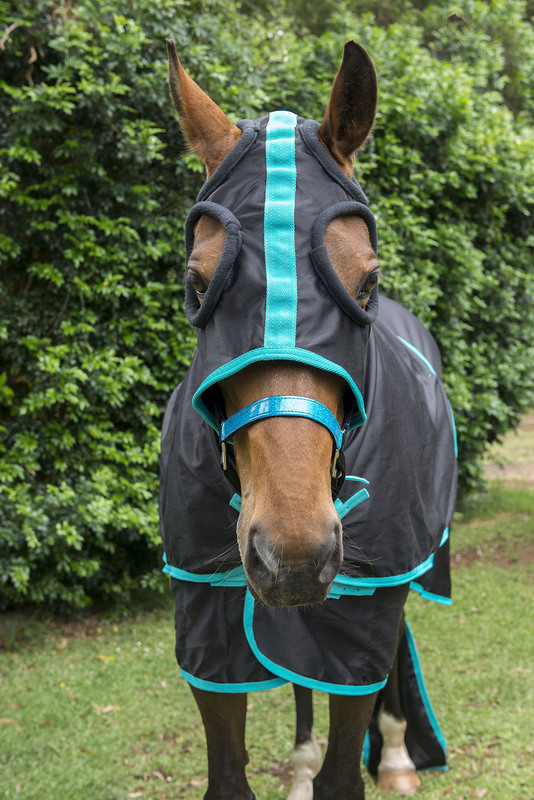 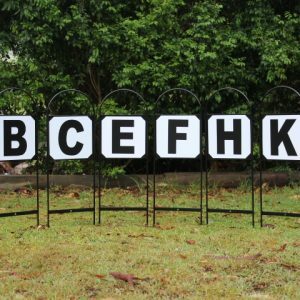 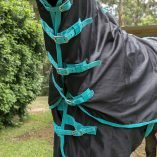 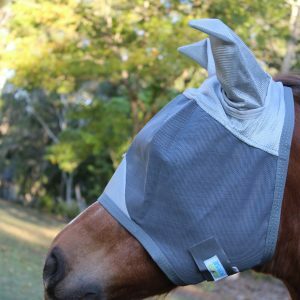 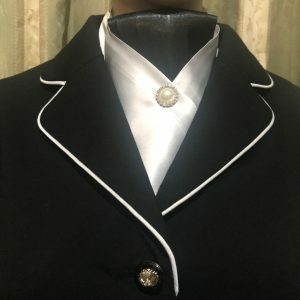 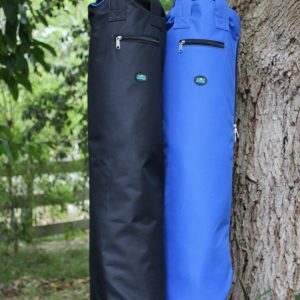 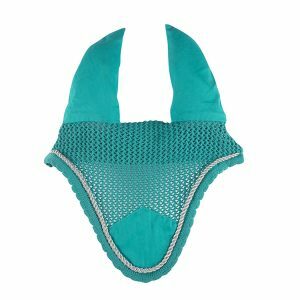 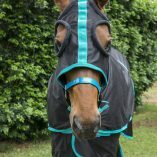 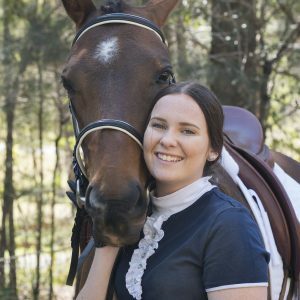 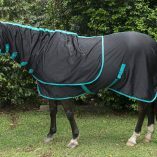 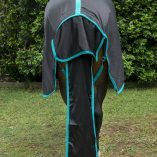 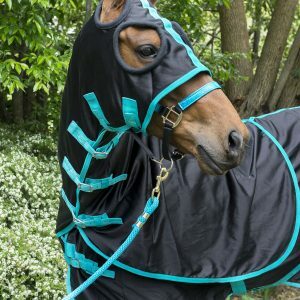 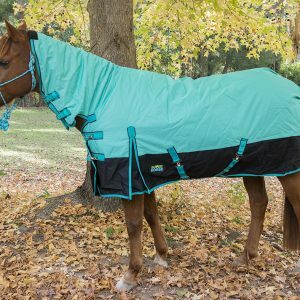 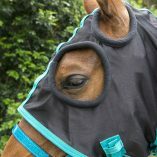 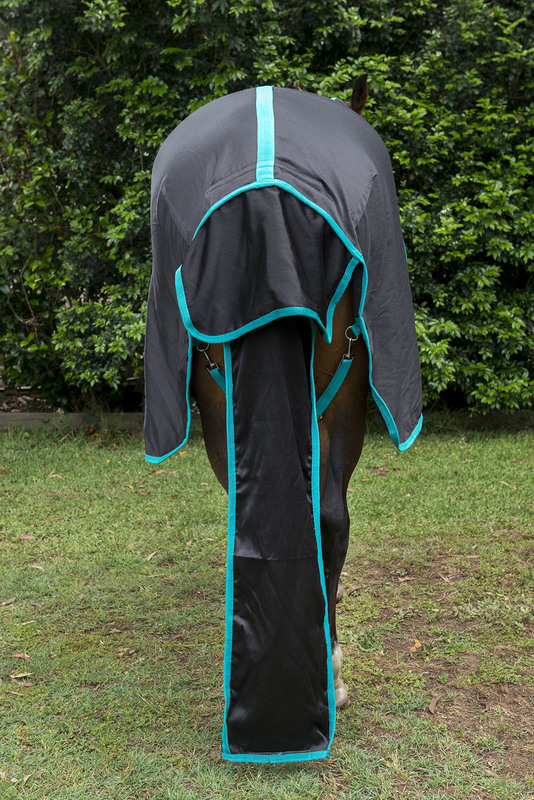 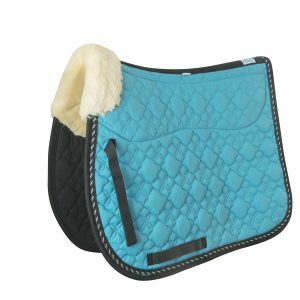 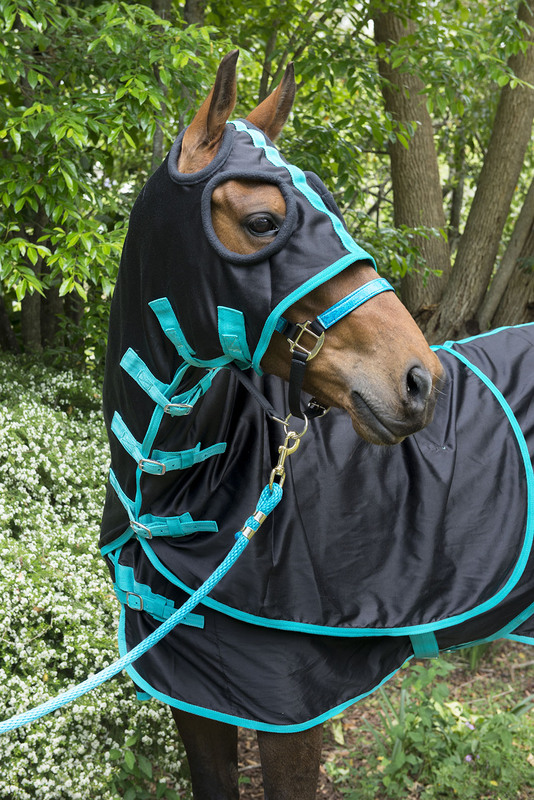 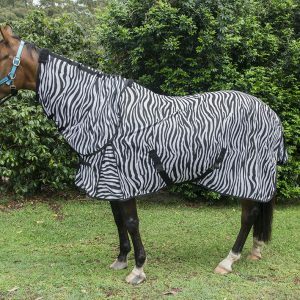 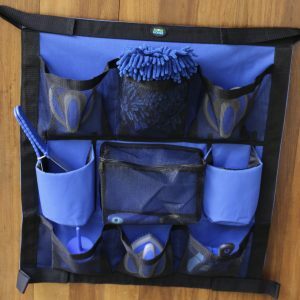 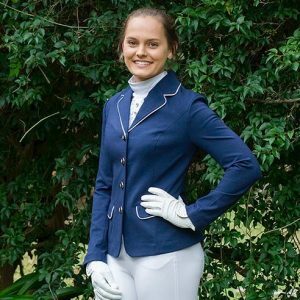 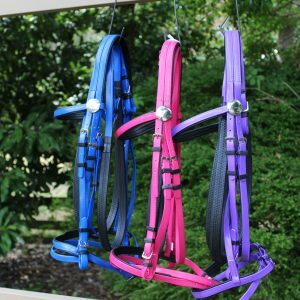 Make your horse stand out this show season with this stylish, deluxe, Super Horse, three piece black, with turquoise trim, poly cotton show set. 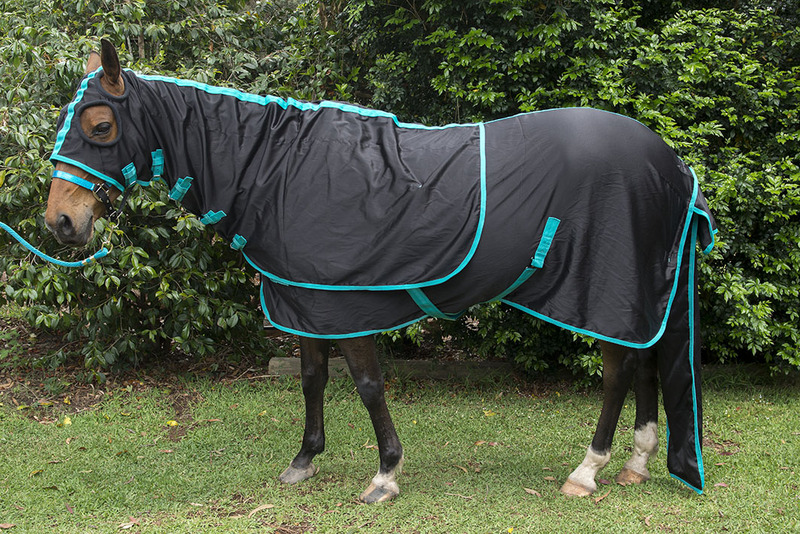 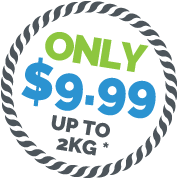 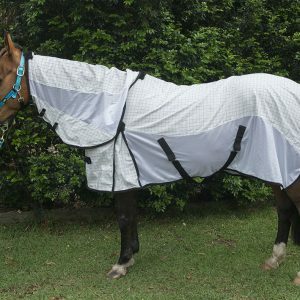 * A quality show rug with a satin liner on the chest with a 2 x buckle closure system. 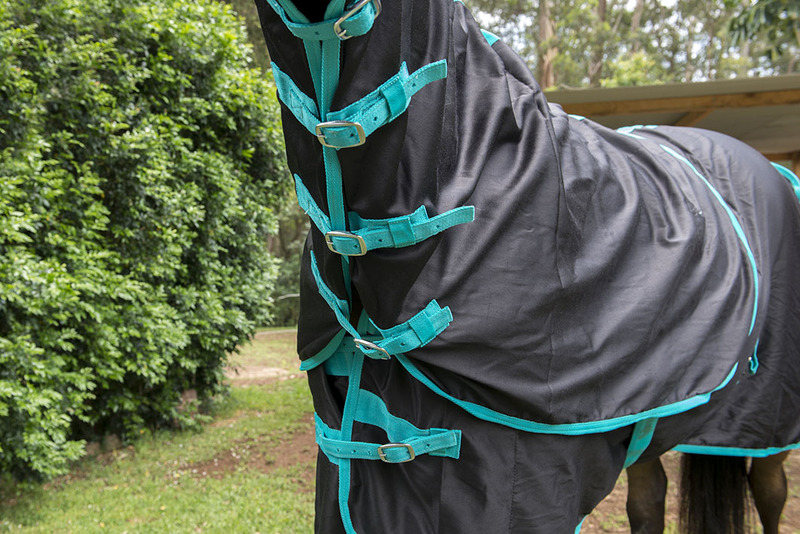 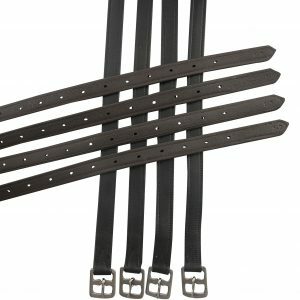 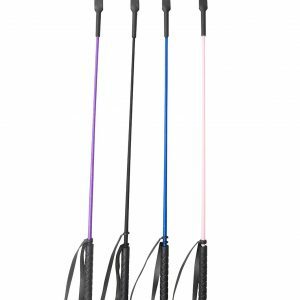 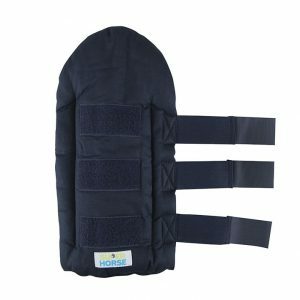 * Cross over surcingles and adjustable/removable leg straps. 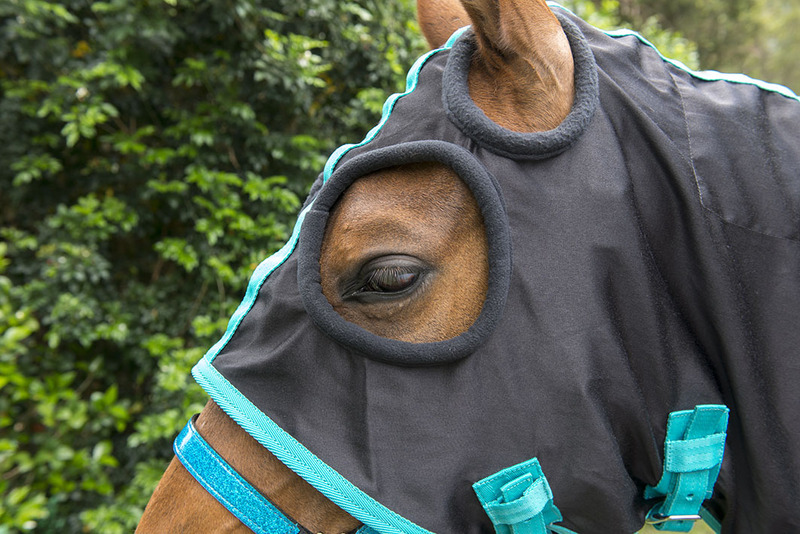 removal and adjustment.The hood has two clips which attach it to the show rug. 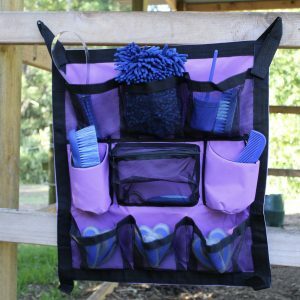 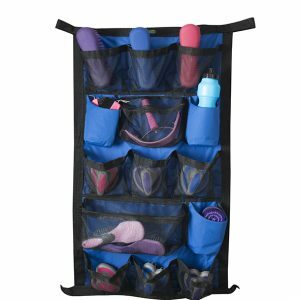 *Detachable tail bag with tough velcro closure system.